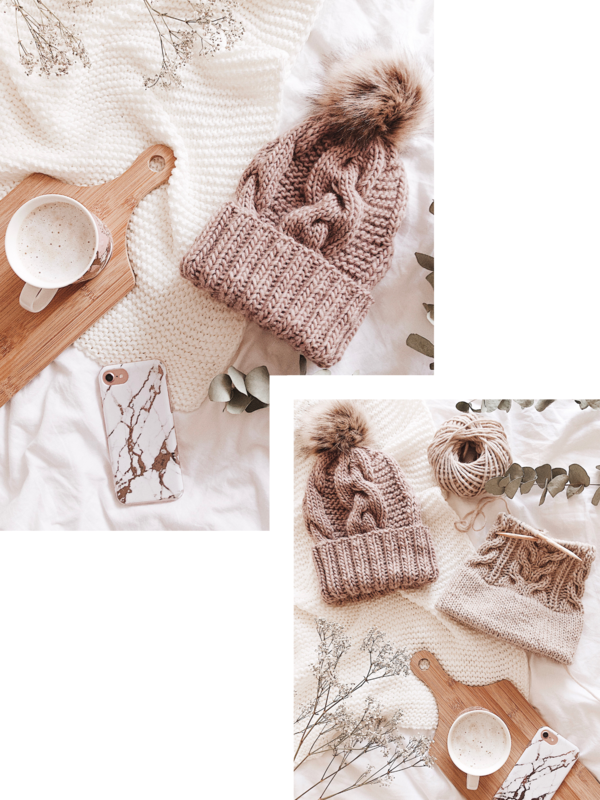 Hi guys, it’s me again coming to you with another beanie pattern! 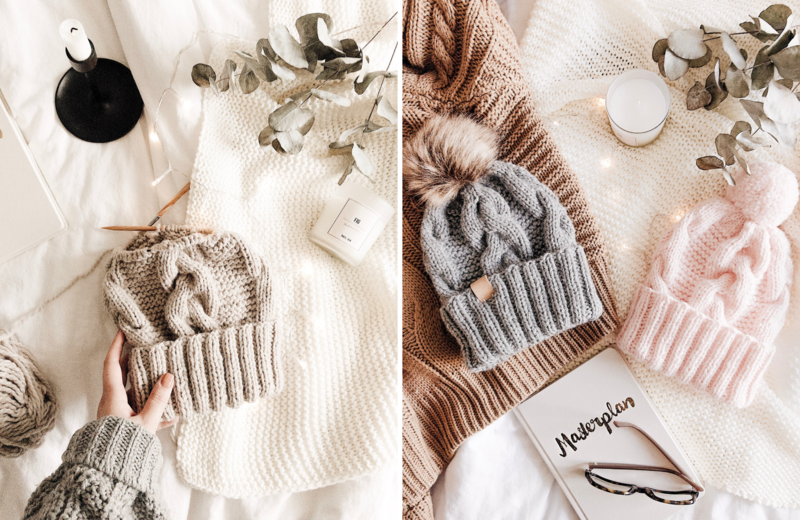 If I could only choose one item to knit for the rest of my life, that item would definitely be hats no questions asked. For this design, I went back to my favorite bulky yarn (no kidding, the owner of my LYS knows that it’s like the only yarn I ever buy) and put together the following equation: double brim + garter stitch + cables = ONLY GOOD THINGS! I love to add simple things together, creating designs that are both functional and easy to follow, but still look as cute as ever. The word Aava is an adjective in Finnish used to describe something wide and open, like the open sea for example. 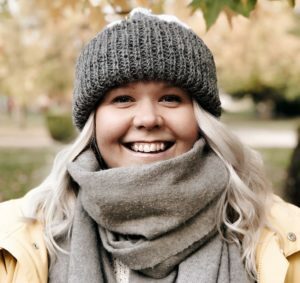 It is also a women’s first name, nicely following the little name theme I got going on for all my patterns (find the free patterns for my Hilla Beanie, Onni Beanie & Onni Mittens!). So as I mentioned already before, this design combines garter stitch and big cables, and thanks to the bulky yarn, it knits up in (almost) no time (once you get past the double brim which I know you can do!). 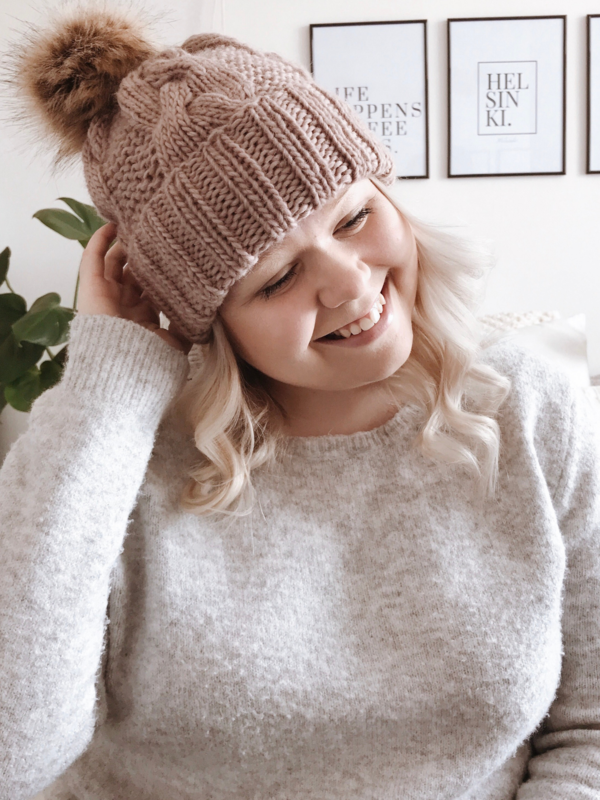 Thanks to the garter stitch, you’ll be able to knit all the stitches on every other round when you’re knitting the beanie itself and have already conquered the brim. One cable section is always 12 stitches, followed by 6 stitches of garter stitch, and this 18 stitch cable + garter stitch -section is repeated 4 times per round, adding up to a total of 72 stitches. If at any point you have any questions don’t hesitate to leave a comment on this post or send me an email at kati@katimaaria.com! 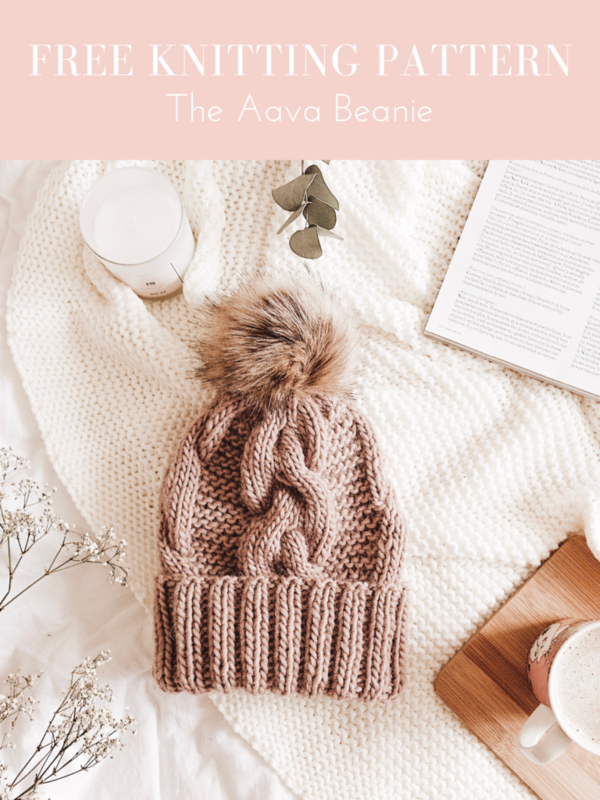 Also if you share a picture of the beanie on Instagram, please tag me @katimaariaknits and use the hashtag #aavabeanie – I can’t wait to see your designs! You may also sell the finished product but please give credit to the designer. Find this pattern on Ravelry by clicking here! So get your yarn and needles ready and let’s get started! Approximately 120m/131 yards of bulky weight (#5) yarn, here are my recommendations! The Petite Wool by We Are Knitters, click here for the yarn! Phil Looping by Phildar, click here for the yarn! Color Made Easy by Lion Brand, click here for the yarn! Cast on 72 stitches on your 6mm/US 10 circular needles. *K2, P2* all around (round 1) and repeat for another 31 times, knitting a total of 32 rounds for the brim or until brim measures 15 cm/5.9 inches. Rounds with cable turns are emphasized. Repeat rounds 1-16 once more, knitting them a total of 2 times for the beanie (this way, you’ll knit 4 cable turns). Finish by knitting rounds 1-2 before starting the decreases. With The Petite Wool, I skipped this part and continued straight onto the decreases after the last cable turn round! With The Petite Wool, I skipped this round (round 6) of the decreases! Cut yarn and pull through remaining 9 stitches, tighten and secure the end well by weaving in on the wrong side of the work. In this video tutorial I’m showing you how to master the cables used in the pattern – I hope this can help you out if you’re not feeling 100% confident with cable knitting! And as simple as that, your Aava Beanie is ready! I hope you’ve enjoyed the pattern and will be returning to the design in the future as well!